SHORTCUT TO MORE FRIENDS! - Hello You! Soooo, hunting for more friends, so you can show your talents, great personality and spread your thoughts? We have good news for you! Now Skyrock will suggest friends for you, all you have to do is click 'add' and get your network booming with people from all around the globe. 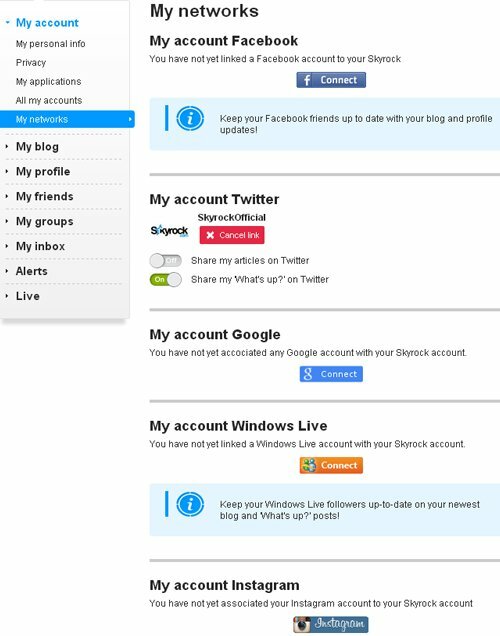 AND in your account settings you can add people from your other (inter)networks, and even add your photos from Instagram and Picasa. Easy peasy! Hey i'm new and ready to have new friends who speak both english and french language, of course don't forget to read, like and share my post xoxo. Julia312 wrote: " animated gif how do i share them? " Hi, you just either click 'remix' or you download the image and uplod it like a normal photo! animated gif how do i share them?